What is an active project or item? How can I pay for GatherContent? What length of plans do you offer? My account says I'm on a legacy plan. What are my current usage limits? Do you offer discounts for not-for-profits or educational institutions? Which payment platform do you use? Yes, all you need to do is sign up to a 30 day free trial, which includes all features and no limits. A project is a container made up of a number of items (content pieces), which typically defines the purpose of the content it holds. For example, you could have a project per client that you work with, a project for each of your products, a project for an entire web redesign or for each phase of a larger web project. Here's a full explanation of what we define as a project. Items are the content pieces inside a project. An item could be considered an individual web page, a blog post, or a news entry. Here's a full explanation of what we define as an item. We use this to calculate your pricing tier. A project or item is active if you can access it and add content to it. 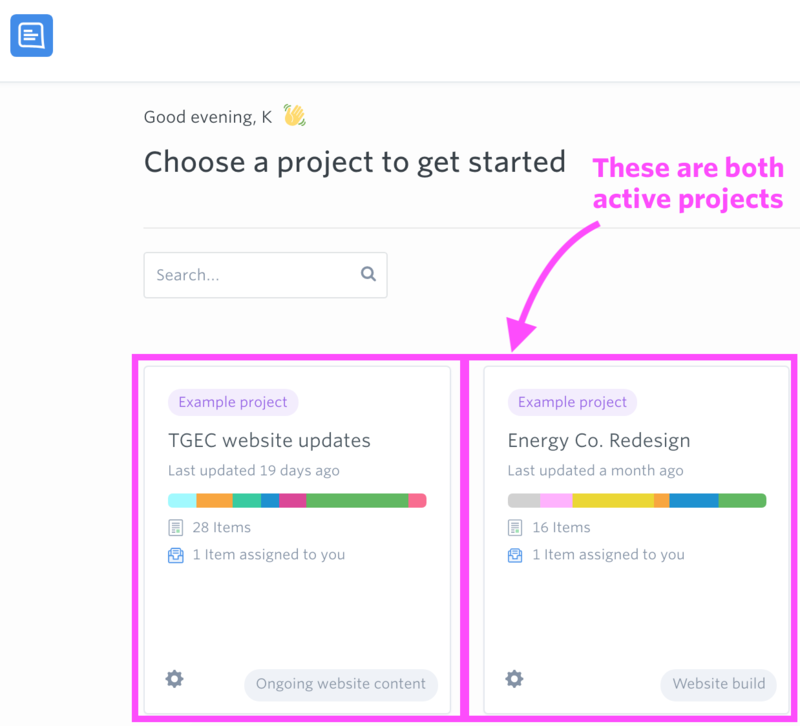 So any projects you can see on the project dashboard (when you login) are active projects. In the same way, any items you can see on the Content tab when you access it are active items. If you're not using projects or items at the moment, we encourage you to archive your content, so that these don't count towards your pricing limits. After the 30 day trial you'll need to sign up to one of our plans. You can find full details of the plans we offer here. You can pay for GatherContent plans (monthly and yearly) using all major credit and debit cards. Invoice and purchase order arrangements can be made when paying for larger plans on an annual subscription. We only offer manual invoicing to customers who exceed our yearly Pro Plan, and yearly plans above this. For customers who pay by manual invoicing, we do not accept cheques or banker's drafts. We only accept payments via wire transfer or credit card. Contact us at [email protected] to find out more on this. Absolutely 👍 we take security and backups seriously. We run hourly backups of our databases, and have full server redundancy. You can also export your content at any time. All prices we quote for our plans exclude VAT. If you are located in the UK the prevailing rate (20%) will be applied to your bill each month. If you are located in the EU please enter your VAT number during the checkout process to avoid paying VAT. We don't charge VAT for customers outside of the UK and EU. It depends on whether you sign up to a monthly or annual subscription. Monthly plans are pay-as-you-go and can be cancelled at any time with no further payments. Annual subscriptions are pre-paid in advance and tie you into an annual agreement which renews each year. Refunds are not offered for any past payments. 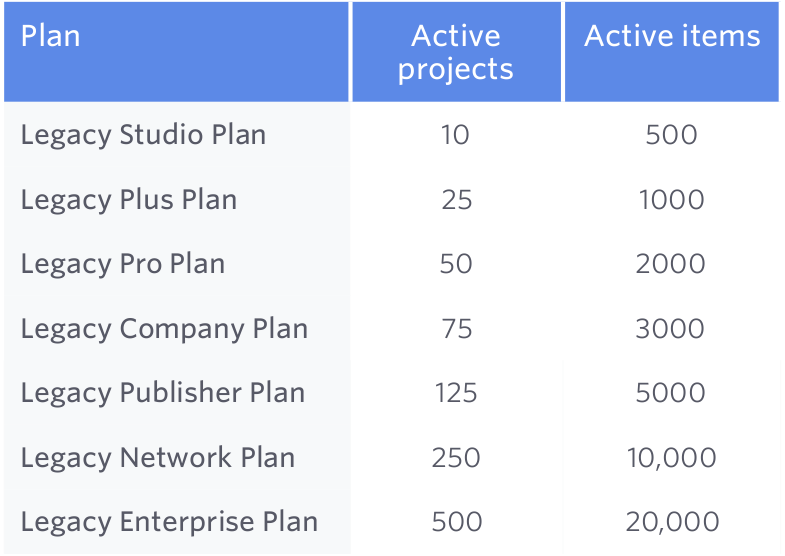 We base our plans on the number of active projects and items in your account. You'll find our most common plans here on our website. To find out about our larger subscriptions, please get in touch with us at [email protected]. We can sign you up to a larger plan. All our plans are available as yearly subscriptions as well. The yearly subscriptions offer you 12 months for the price of 10. We offer a 10% discount on all our annual plans for not-for-profits and educational institutions. Our annual plans also offer a substantial discount, giving you 12 months for the price of 10. So you'd get the combined discount on our annual plans, compared to our monthly plans. As our Terms of Service state, GatherContent do not issue refunds for subscriptions - yearly or monthly. The only circumstances where we issue a refund is when customers contact us within 7 days of their subscription renewal. All our subscriptions automatically renew (which is also stated in our terms and subscription communications). You can cancel your subscription at any time and from that point on you won’t be charged. When you choose to cancel your subscription, you'll have access to your account until the end of the current subscription period, and it won't renew at the end of that period. No further fees will be charged but we aren't able to refund any fees paid. Unfortunately we don't have the option for you to pause your account. However your data won't be deleted if you choose to cancel your subscription with us, for the first 12 months. All of your content can be accessed again when you create a new subscription. We'll delete your data after 12 months to comply with GDPR regulations, so if you plan to keep your account active we advise taking a subscription again before this point, to ensure no data is lost. If you cancel your subscription, you may not have access to the same subscription if you re-open your account. This also applies to any coupons active on your account - certain coupons may not be available to you if you do re-open your account. We use Recurly for all our credit and debit card payments. Recurly is PCI-DSS Level 1 compliant, the highest level of security a business can offer. Cardholder information will be sent directly to Recurly to minimise the risk to your business. Recurly also meets and exceeds all industry-standard payment security practices to protect you and your customers.